Many people who seek out counseling are dealing with anxiety and stress, which can make the very idea of counseling difficult to bear. However, there are things you can do to make your first counseling session as stress-free as possible. In this article, we are going to offer up a few tips for getting the most out of your initial session! Just like a doctor’s appointment, there is a decent amount of paperwork that needs to be completed before a counseling session. We try our best to make paperwork as easy as possible. When you call and provide us your contact and insurance information, we’ll send you an email with a link to login to our client portal. From there you can fill out all the required forms and paperwork before your session. It is important that you have the right frame of mind coming into counseling. If you believe it will fail before it has even started, it almost certainly will! We understand that it can be scary talking with a stranger about personal issues that you may not have even told your closest friend or family member about, but try to have an open mind and be a positive as you can. We are good people, who genuinely care and will work hard to help you overcome those issues that brought you into treatment. At Polaris Counseling, we have helped thousands of people through emotionally trying times. 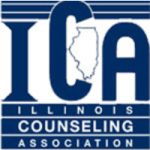 Our counselors provide a wide variety of counseling services to patients throughout the Chicago suburbs. Whether you’re looking for family counseling, couples counseling, child & teen counseling, or help with your anxiety or depression – we’ve got you covered. Contact us today to learn more about our counseling services and see how we can help you. We have three office locations in Naperville, Oakbrook, and Oswego and provide care for patients throughout the Chicago metro area.